The Nikwax TX Direct Wash-in formula is an eco-friendly, convenient way to ensure the water resistance and breathability of your technical clothing. 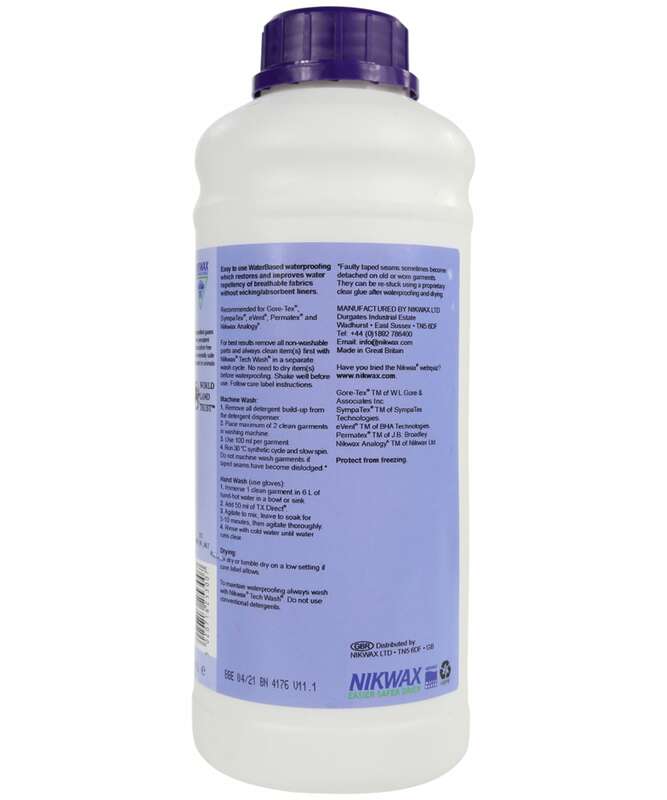 If your outdoor clothing is no longer performing as it once did, simply wash your products with this water-based fluid in a washing machine with no need for tumble drying after – the formula with activate while air drying leaving your waterproof jacket fully water resistant and breathable once more. This wash-in formula can also be used by hand, and works effectively on clothing, tents, and bags to improve the longevity of your active wear and maximises performance. Nikwax can be used on waterproof clothing, Gore-Tex®, and eVent® garments. 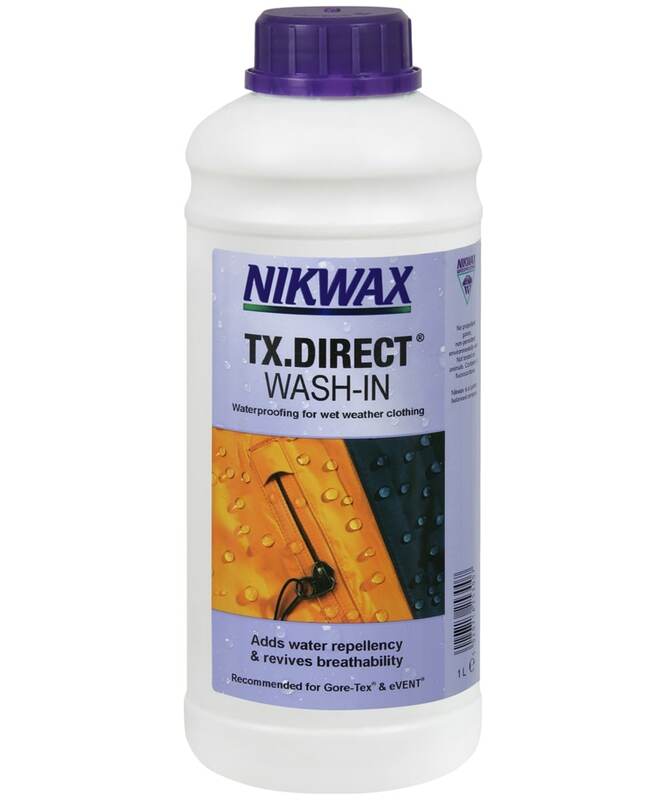 Nikwax recommends after cleaning and re-proofing clothing, maintain its waterproofing qualities by frequent cleaning with Nikwax Tech Wash. After 6 to 8 washes with Nikwax Tech Wash, re-apply Nikwax TX.Direct to re-proof. Remember you don't have to wait to dry between cleaning and re-proofing.